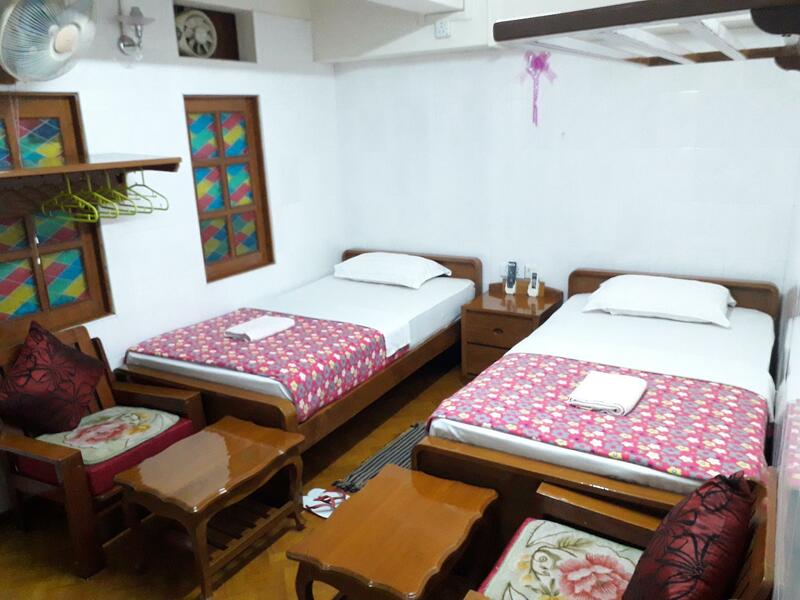 Το Chan Myaye Guest House, στην περιοχή Κέντρο Γιανγκόν σε Yangon, αποτελεί δημοφιλή επιλογή για τους ταξιδιώτες. Μόνο μακριά, αυτό το 1 αστέρων ξενοδοχείο είναι εύκολα προσβάσιμο από το αεροδρόμιο. Από τη βολική της τοποθεσία, η ιδιοκτησία προσφέρει εύκολη πρόσβαση σε κορυφαίους προορισμούς της πόλης. Επωφεληθείτε από ένα πλήθος ασυναγώνιστων υπηρεσιών και ανέσεων σε αυτό το ξενοδοχείο της Yangon. Η ιδιοκτησία παρέχει ημερήσιος καθαρισμός, υπηρεσία ταξί, 24ωρη ρεσεψιόν, ασύρματη σύνδεση Wi-Fi σε δημόσιους χώρους, ενοικίαση αυτοκινήτου, φροντίζοντας για τη μέγιστη δυνατή άνεση των επισκεπτών. Το ξενοδοχείο διαθέτει 46 όμορφα διακοσμημένα δωμάτια, πολλά από τα οποία περιλαμβάνουν επίπεδη τηλεόραση, κρεμάστρα ρούχων, λευκά είδη, καθρέφτης, πετσέτες. Εξάλλου, το ξενοδοχείο διοργανώνει πολλά ψυχαγωγικά δρώμενα έτσι ώστε να έχετε πολλά πράγματα να κάνετε κατά τη διαμονή σας. Με την ιδανική του τοποθεσία και τις καταπληκτικές του υπηρεσίες, το Chan Myaye Guest House θα σας ευχαριστήσει σε πολλά πράγματα. Good location, great staff but ..poor facilities. The reception is at 4th floor but rooms are up to the 8th or 9th floor No hot water and in the shared bathrom the shower wasn't almost not working.Moreover very noisy and people going around and doing some carpenter work. Some rooms have windows only n the inner corrridor so.. light was on all night. But staff super nice and breakfast cooked at the moment. Great place to stay, near to Sule Pagoda.. Nice breakfast, friendly staffs, fast wifi. 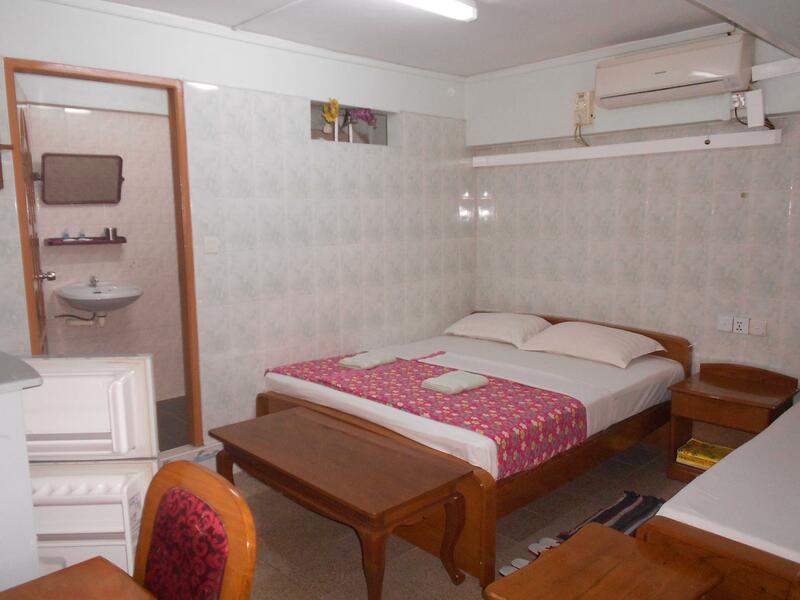 Chan Myae Guest House is in a great location. Rooms are clean and comfy. Wifi works really well even in your room. Staff were really good, organised a taxi for me to get to a bus terminal. I would definately stay here again. Happy travels. 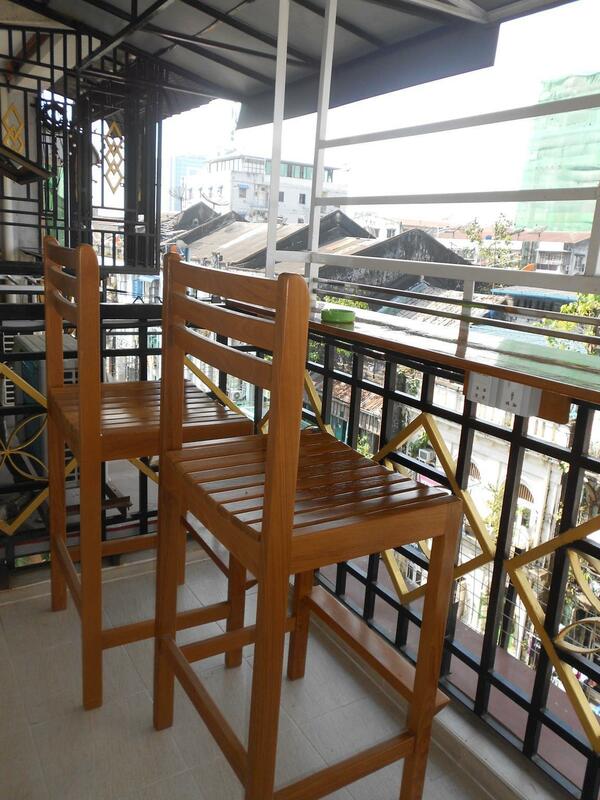 Considering the fact that accommodations are quite expansive in Yangon, this one is a good value for money. Good location, friendly staff, rooms ok. However, the second time I stayed there I discovered dirt and dead mostiquitos on the bed on top, so cleanliness needs improvement. The Hostel is clean but I was atacked for lots of ants during the night and a centipede fell from the ceiling in one of the nights. The staff is really nice but the hostel itself is not. I was allocated to the 8th floor of the building ( lots of stairs to climb) and there isn’t any place to hang out with other guests. If is only a room to sleep you need, it’s ok. In the other hand they clean your room and change the towels everyday. Breakfast is ok. If you're looking for friendly instead of fancy, this is your place. Very warm welcome. Actually, all staff were super nice. Good advice on how to get around, not pushy about booking tours and nice breakfast. Easy to reach and go anywhere. Everything is good and one of the main plus point is the very friendly and helpful staff! 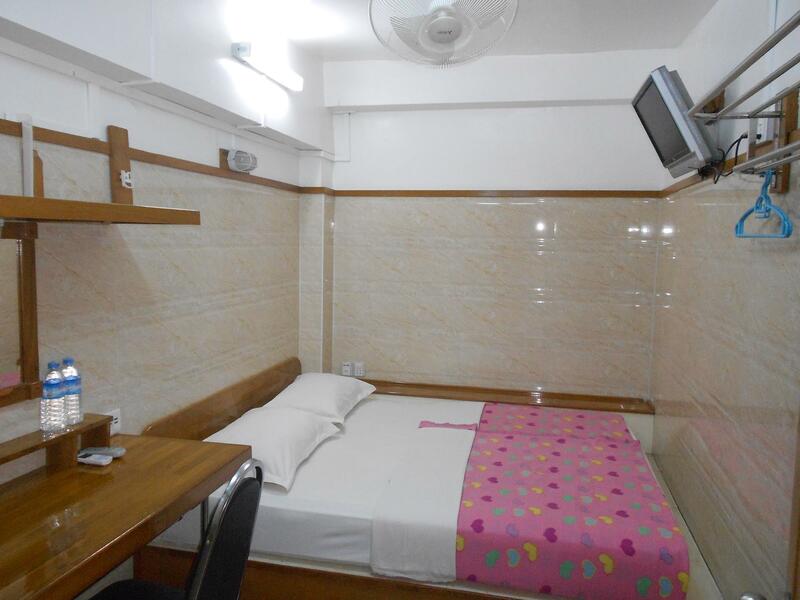 Cheap basic guesthouse. Perfect location for restaurants and local market. Breakfast was not good which is such a pity...Facilities such as the shared showers and toilets basic but not as bad as most that we have had in South East Asia! Ebike rental was 7000 Kyat per day and when our bike when dead we called the guesthouse from a local hotel in Old Bagan and they brought a new one for us so that we could stay out to watch sunset!! Booked bus ticket for us to Kalaw for us with no commission. Recommends booking in advance as they are very busy. They also let you check in at 9am after the night bus which is amazing! I stayed for 3 nights and I really enjoyed my stay here. When I arrived I was a bit daunted at the thought of having to carry my bags up a few flights of stairs to the reception, but before I could even think about picking up my case a young fellow arrived to carry it up for me. Check in was done by Nancy and she was very helpful and very nice. She gave me a map and told where all the interesting places were and how to get there. 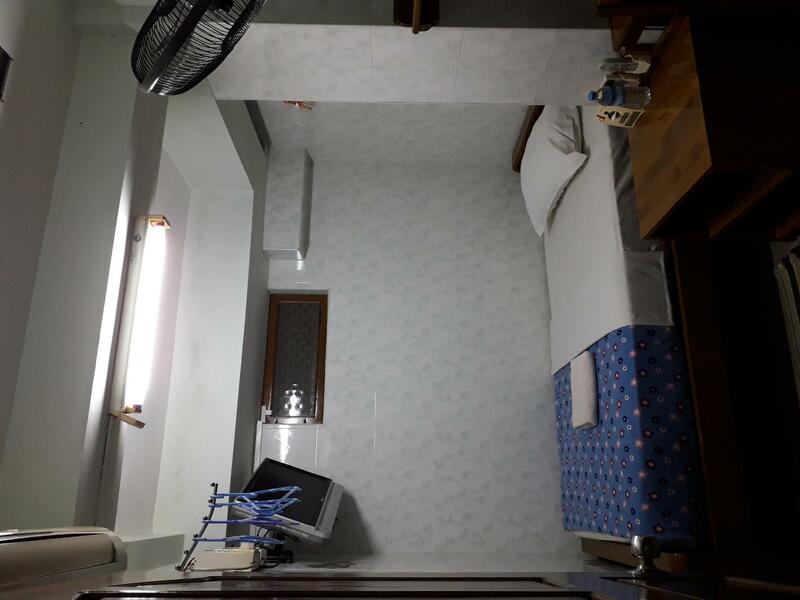 She answered all my questions and also booked my ticket for the boat trip from Mandalay to Bagan which went smoothly as I am writing this from there.The map the Guest House has is very useful as it contains the most popular tourist spots. The room was comfortable and the breakfast was simple but adequate. I would stay again next time I'm in Rangoon. The place is on the 4th floor so be prepared to walk up those stairs as there is no elevators. The staff was very nice and helped us call for taxi as well. Overall experience was great. The accommodations are basic and clean enough, but it’s the service that really stands out. When we got to Yangon as our first stop, having great service was key to starting the trip off right. They were so accommodating with check-in, making phone calls for us, helping with my friend’s lost luggage, letting us extend the room until 9 PM for half price (rather than pay full price, which many other guest houses would have done), and just general advice and other services. The location cannot be beat, and it’s high up, so we were able to get a good view of where we were. We didn’t try the breakfast, but I believe that it’s also basic. I’d recommend and plan to go back to stay there if I’m back in Yangon. The rooms are comfortable and clean. The location is perfect. The breakfast is really good. But what really makes this place is the staff. They are so warm and welcoming and go above and beyond to help out. We were flying in and out of Yangon, so they let us keep some stuff with them for 10 days while we travelled around. They also packed us up a breakfast to go before an early flight. Would absolutely recommend. Arrived after checking in and room not ready and had to remind staff several times before towels provided. Sheets frayed at edge. Room no outside window. Staff very helpful in retrieving lost item at bus station. Very central to lots of places. 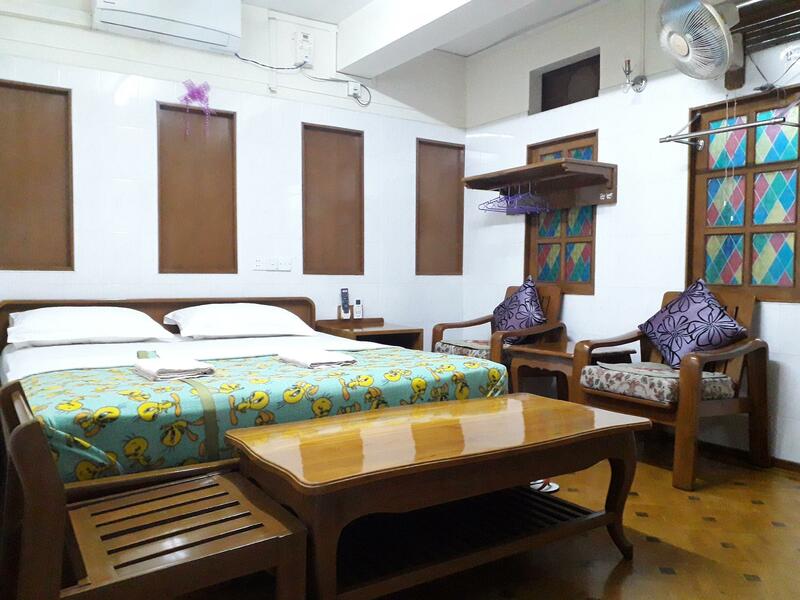 Staff was super friendly, room was clean with air-conditioner. However, there was some huge noise in the middle of the night and disrupted my sleep. There was no hot water in some of the shower rooms. The room is quite different from what they show on the website. Good breakfast, rather basic room, and I have no complaint, but I could find similar rooms on the same street at a lower rate. Κεντρικός Σιδηροδρομικός Σταθμός Yangon στα 0.33 χλμ.